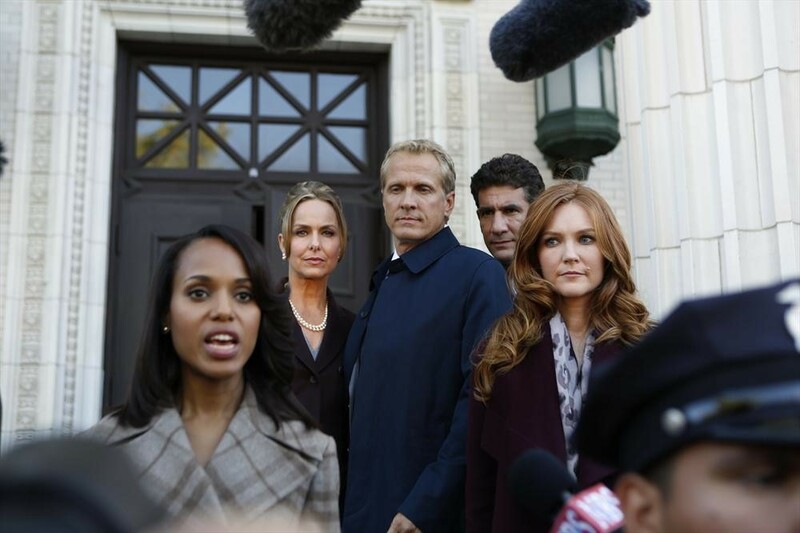 Next Thursday's episode of Scandal will feature a number of guest stars, and a new client for Pope and Associates! The preview and photos we have for "Say Hello to My Little Friend," give us a look at guest stars Melora Harden and Patrick Fabian, but unfortunately, none of them show us Lisa Kudrow, who's set to guest star in an arc involving Mellie. But we do have some information about Kudrow's character! I've been pretty vocal about my hope that Scandal would feature more Pope and Associates clients. I want to see the gladiators rushing around to solve problems! The description for next week's episode indicates that Olivia's business has been struggling to find clients. 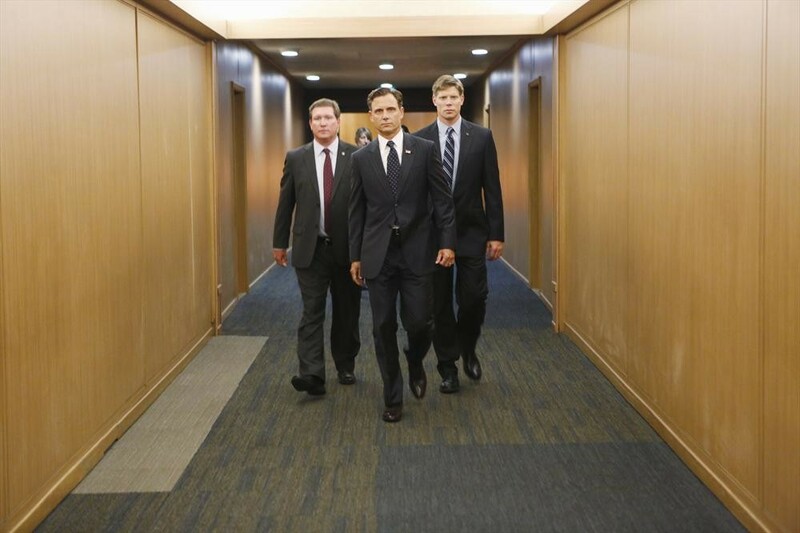 I guess that's the blowback from the brief Olivia/Fitz affair scandal. But they will have a new client next Thursday! Patrick Fabian plays Senator Richard Meyers, a philanderer who likes to take naughty photos, a hobby that gets him into some deep water. Melora Harden, who many will likely recognize for playing Jan in The Office, will pay Shelley Meyers, who's presumably Richard's wife. 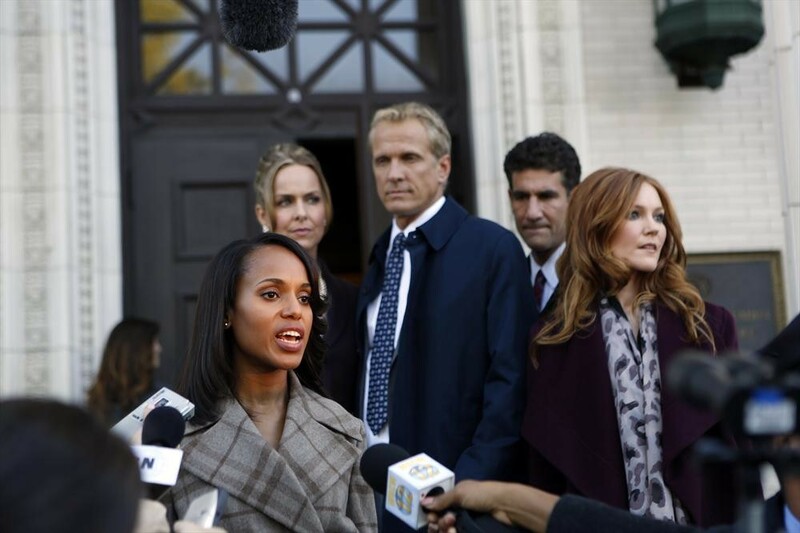 Here's a glimpse of them behind Olivia, who appears to be speaking on their behalf. “Say Hello to My Little Friend” – With Pope & Associates still struggling to find clients, the team decides to take on a philandering senator who enjoys taking photos of his not so public areas. 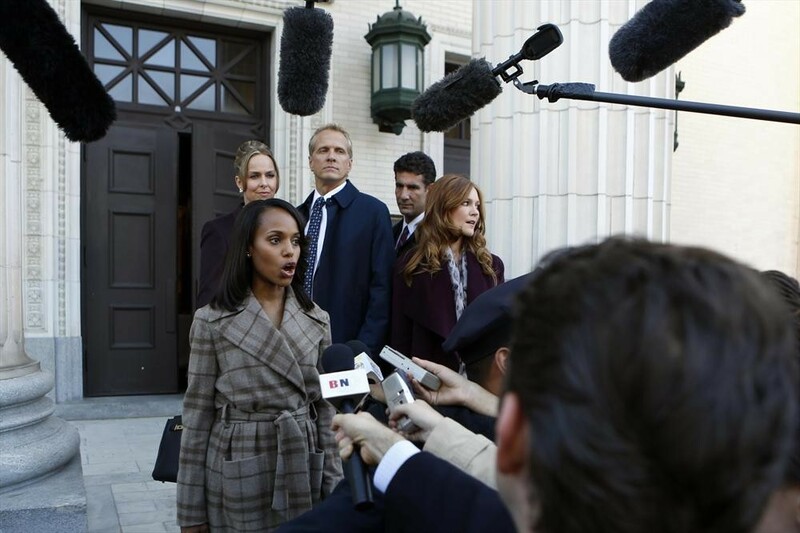 Meanwhile, Mellie gets involved in her own scandal with Democratic Congresswoman Josephine Marcus (Lisa Kudrow), on Scandal, THURSDAY OCTOBER 24 (10:00-11:00 p.m., ET) on the ABC Television Network. 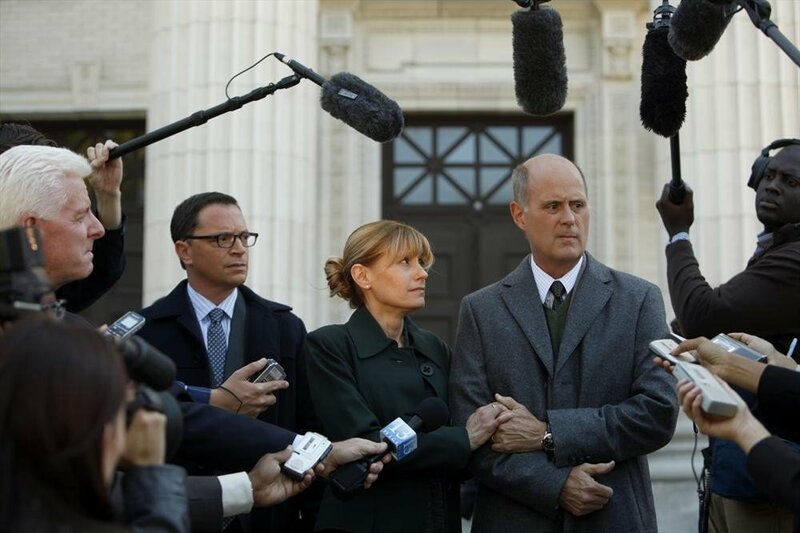 Guest starring Lisa Kudrow as Josephine Marcus, Dan Bucatinsky as James Novak, Melora Hardin as Shelley Meyers, Patrick Fabian as Senator Richard Meyers, Patrick St. Espirit as Peter Foster, Michael B. Silver as Gavin Mitchell, Stoney Westmoreland as Hal Rimbeau, Brian Letscher as Tom, Peter Holden as William Granville and Joe Morton as Rowan. As the description indicates, Lisa Kudrow will play Democratic Congresswoman Josephine Marcus, and she's somehow involved in a scandal with Mellie. Considering Fitz is a republican, it's very possible that Kudrow's character is at odds with Mellie somehow, or maybe blackmailing her? I would so love to see Mellie go up against Lisa Kudrow. I'm not even sure who I'd want to win. Mellie's such a love-to-despise character, but she rally is at her best when she's jamming her thumb down on someone, isn't she? 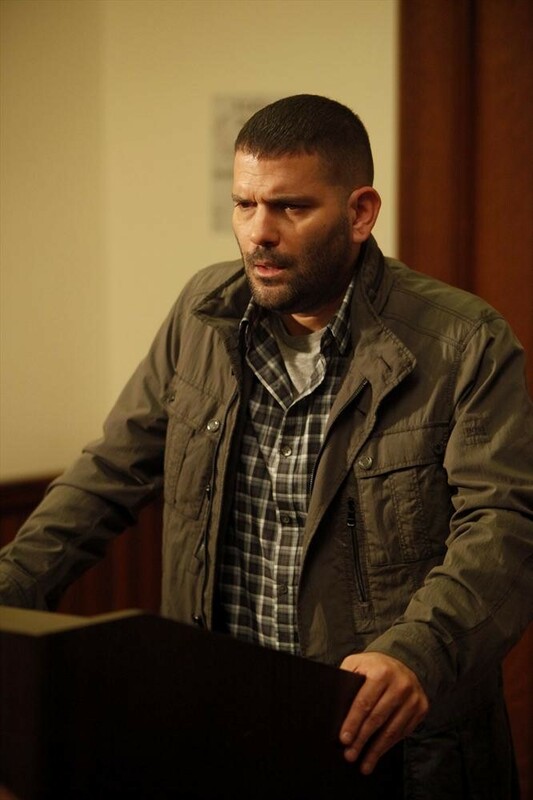 So, no photos of Kudrow yet, but we do have this image of Huck looking distressed again. I loved his "gross" line in the above preview. who's he talking to now? Is it Rowan again? Or is he maybe opening up to Quinn? 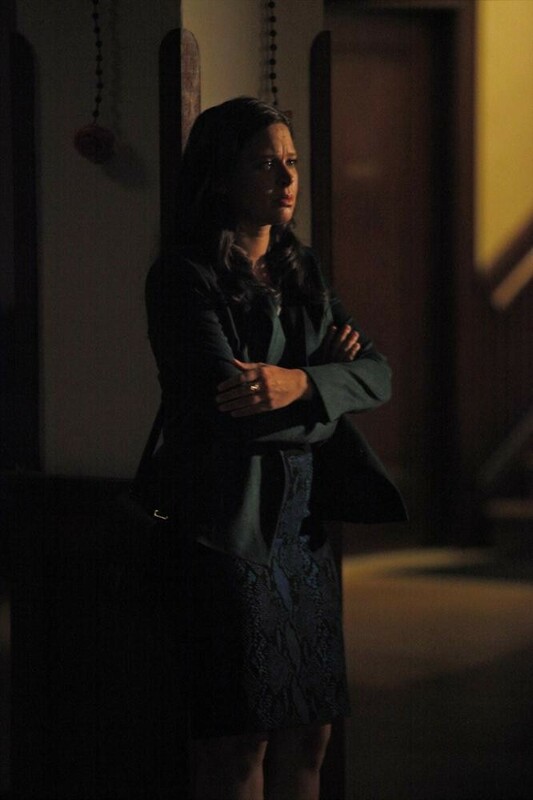 There are photos of both of them in the episode pictures, and one in particular that shows Quinn in a dark room. We know she's been nosing around Huck's situation, and the two have gotten closer. 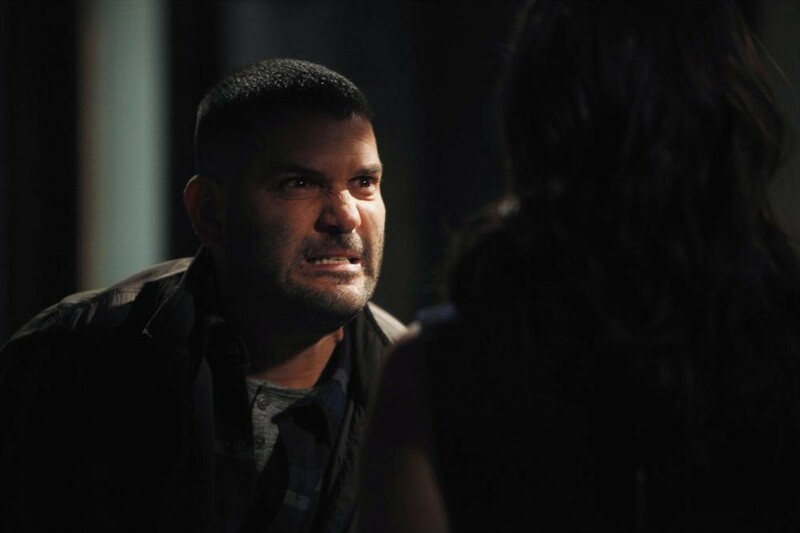 Maybe they'll have a talk about what Huck's going through. 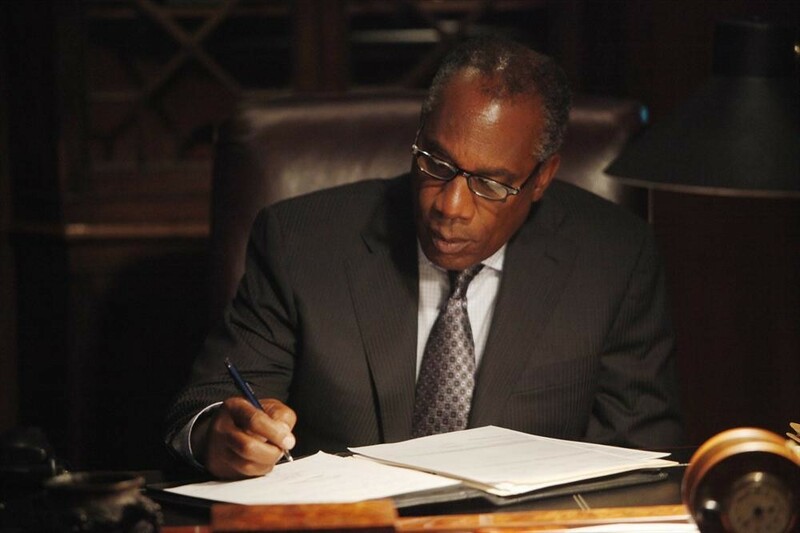 Read our breakdown of last night's episode here.